Last time, I showed you how to setup Ubuntu Studio to run on a USB stick. This time we are going to use the multi-track digital audio workstation Ardour that comes pre-installed on the system. As a musician you might have some or all of these. If you're just starting out don't worry, I'll try to show you what all these are and where you can get them. First we need to get your mic hooked up to the computer. Makes sense right? This adapter will plug your mic directly to the microphone input on your computer or laptop. The ends of the mic cable have XLR connectors which won't plug into your computer. 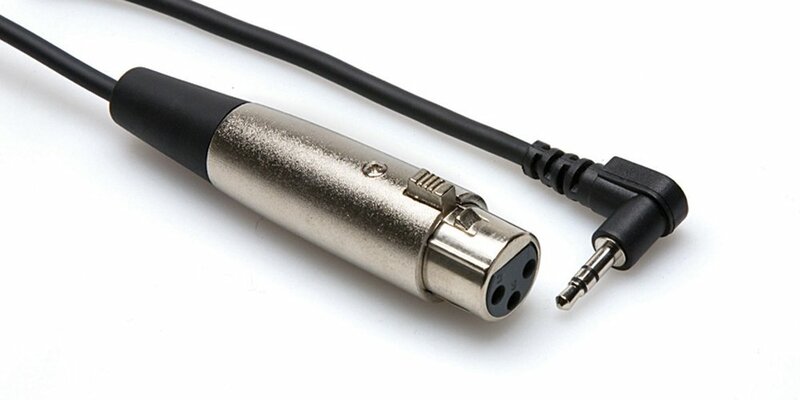 You will need an XLR to 1/8 inch adaptor where the end looks like a headphone jack. You can now plug the mic into your computer. This is the method I use. It gives me more control of the overall input/output volume and connects everything with a usb input. No adaptors needed. Plug the mic cable into the external sound card, plug sound card into the computers usb input. I use the Lexicon Alpha . Not too expensive and works pretty well for me. 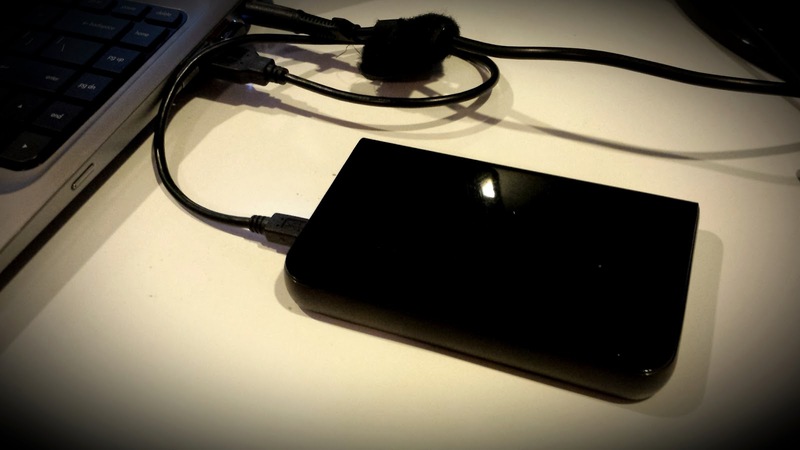 If you want to save what you record, it’s a good idea to have an external hard drive. Since this is a tutorial about using Ubuntu Studio from a USB stick, we aren't really using your normal operating system and can't save to it. Having one of these helps so you can access it later. In my opinion it’s good to have one of these for anything you work on no matter how you do it. I use a WD My Passport external hard drive for all my stuff. You can get one on Amazon. They have tons of room and you can take it around with you. If you haven't already done so, boot Ubuntu Studio from your USB stick. 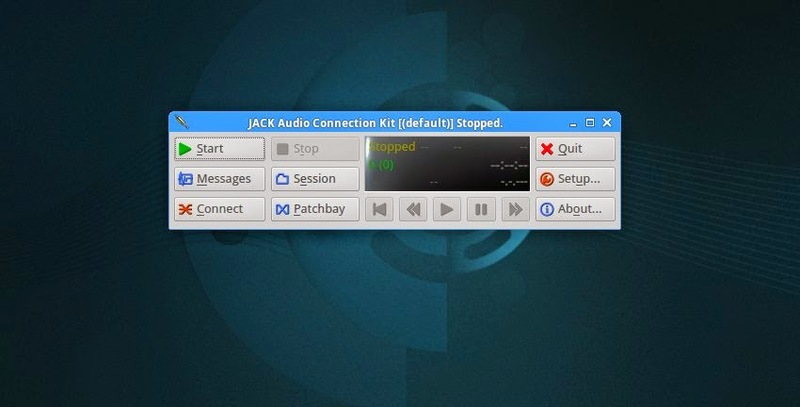 We need to start the program QjackCtl to control our sound inputs. 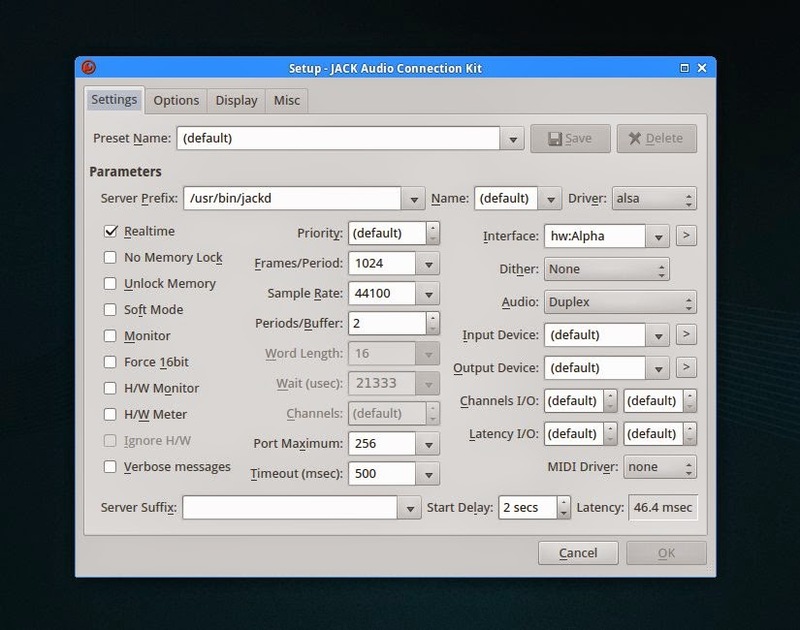 Now that Jack (QjackCtl) is open we need to check the settings. Make sure the “Sample Rate:” is at 44100 from the dropdown choices if it isn’t. If you are just plugging in a mic to your computer you can click “Ok” and close the window. Then we need to set up the sound card as the input. Next to the “Interface:” option click the “>” button next to the dropdown and choose your sound card from the list of choices. 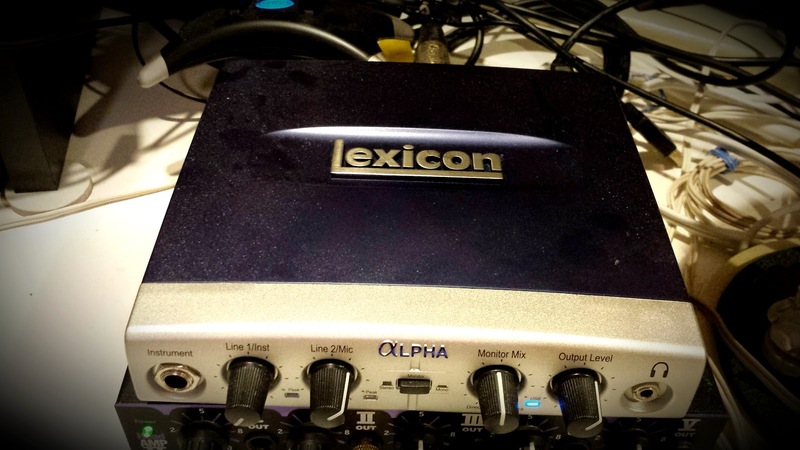 In my case for the Lexicon Alpha sound card it was “hw:Alpha”. Click the “Start” button to run Jack. Leave this open while you record from now on. Jack is all set! Now let’s move on to Ardour. 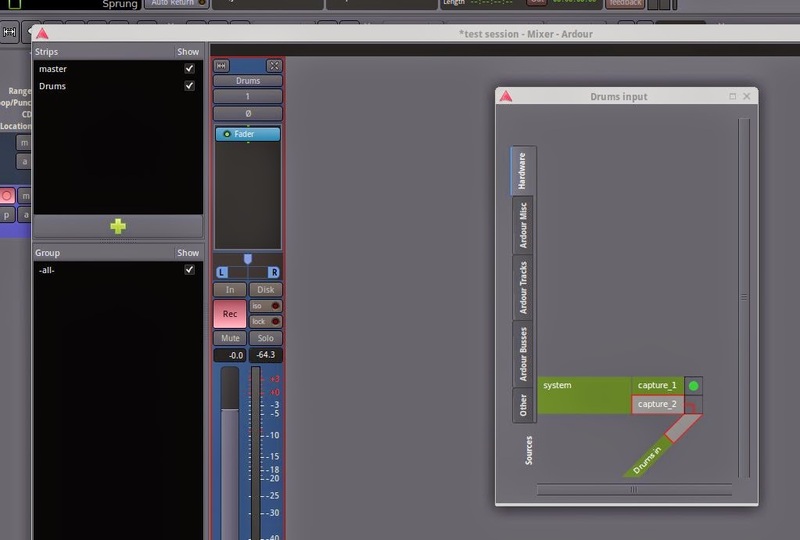 Now the part you've been waiting for, recording audio in Ardour! Open the program from the “Audio Production” section in the main menu at the top left of the screen. On first run it will walk you through the program settings. You can choose the default settings but you will want to change the session folder to the external drive I suggested you have plugged in if you want to save anything to work on later. Now make a new session and name it. In the pop-up window name the track and click the “Add” button. This will add a new track in the DAW. We need to arm this as the active recording track, click the red dot next to the track title. We need to make sure that the microphone input is sending a signal to our active track to record. Open the Mixer window from the menu “Window > Mixer” at the top. The window mixer will show you the bus controls for your tracks. Tap on your mic, and if you see a signal you're good to go! If you don't see a signal then we need to switch the input source. Under the bus title for your active track there is a button with a “1”. This is the input sources selection. Click that, and in the pop-up window deselect the "capture_1" selection, and choose the "capture_2" selection. Close the pop-up window and now it you tap the mic again you should see a signal. 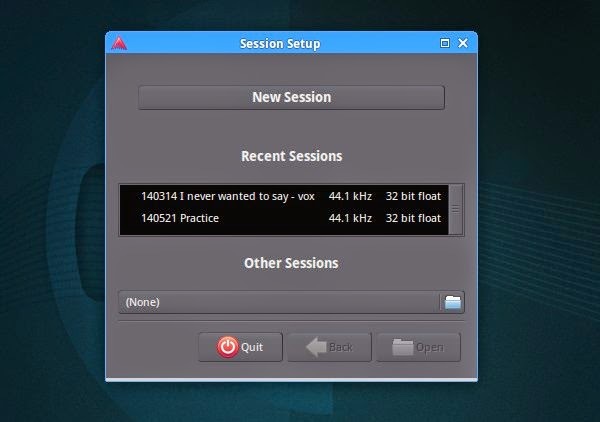 Switch back to the "main session" window, you can leave the "mixer window" open to go back and forth between the two. If you remember, we armed the track we want to record to. This doesn’t record to the track automatically this way you can play back your tracks without having to turn it on each time. What we need to do is arm the program to record to the active track. At the top of ardour there is a big red dot button, click that. Now when you hit the "play button" next to it, you will be recording to your active track. Do that and record something! If you want to add more tracks just repeat the past few steps by adding a new track. Drag the "red recording indicator line" from the triangle at the top of it to where you want the recording to start. Or you can go to the beginning of the song by clicking the big "|<" button in the top play controller section. Just make sure to unarm the previous track so you don't record to that one along with the new one. Audio settings: Sometimes if things aren't playing back or if you open a browser to listen to something while you have Jack running there’s no sound. To fix this we need to connect the output of other devices to Jack. To do this go to the Ubuntu Studio menu button on the top left of the screen and open PulseAudio Volume Control, "Audio Production > Mixers and Card Control > PulseAudio Volume Control". The volume control window will open. Go the the “Playback” tab and look for the program that isn’t playing any sound. There is a dropdown menu. 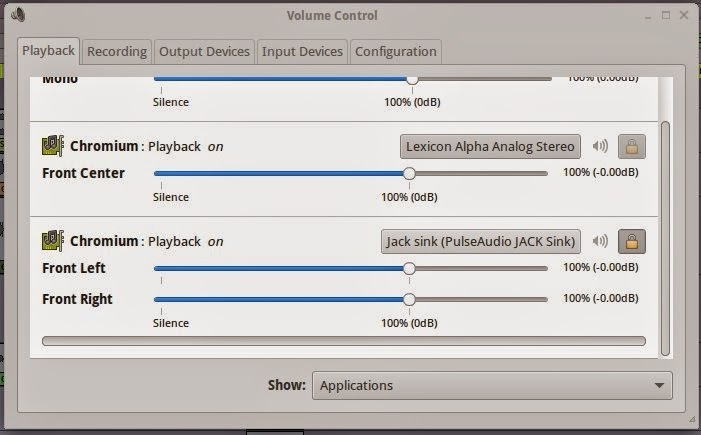 From that select the “Jack sink” option to hear audio from the active program. This method works with other things that aren’t working properly from all the tabs in this window. 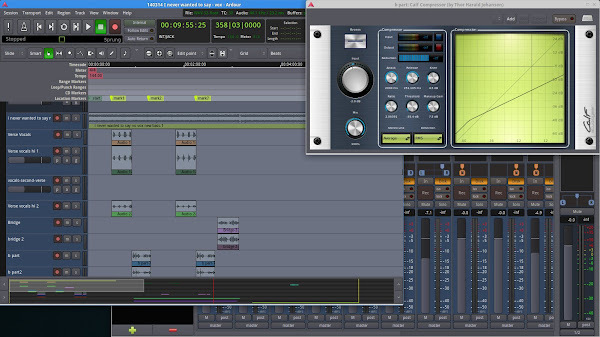 We’ll go over more Ardour recording features in the future. For now play around with it, record something and get familiar. If you have any questions or if I missed anything let me know in the comments below.